Join us on a walk through Alma’s Garden, discovering its flowers and tiny inhabitants. 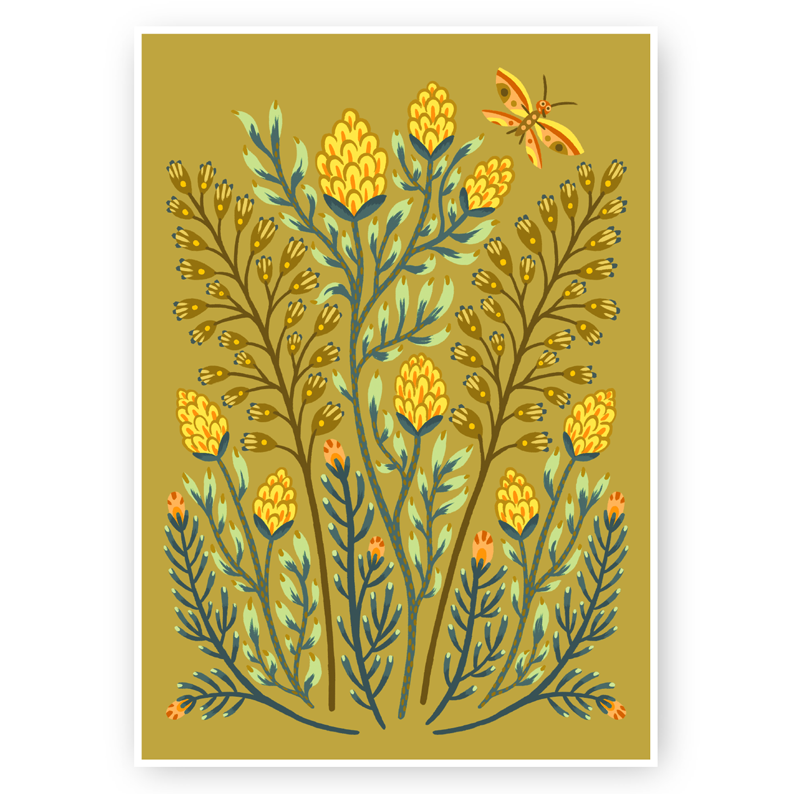 Maybe you would like to rest for a moment, and send some greetings to a friend or write down some notes for yourself. 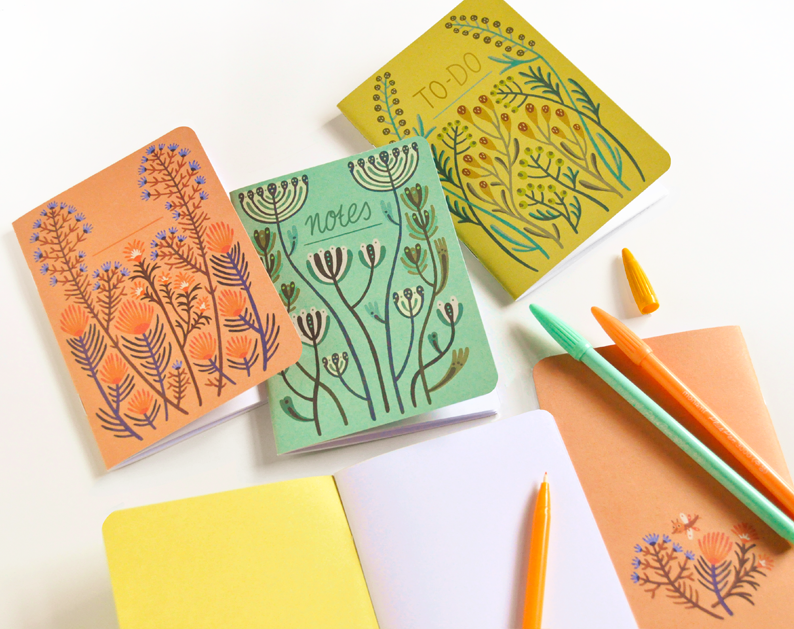 Designed for garden lovers, Alma’s Garden offers a variety of paper goods that can be used every day. 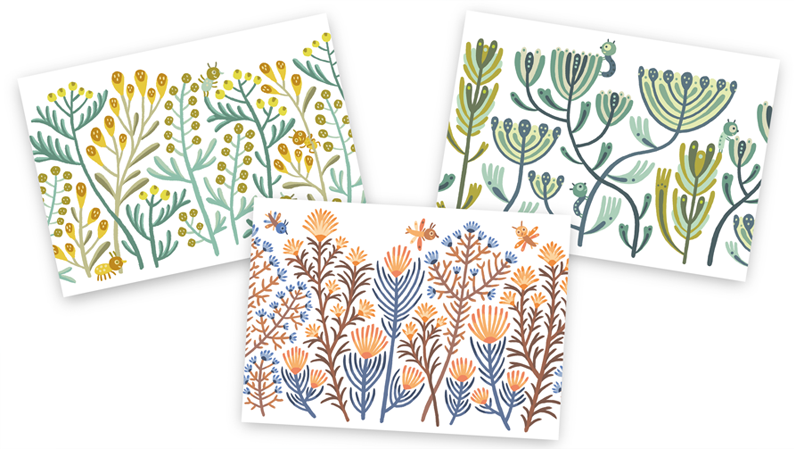 The postcards fit well for various occasions and the postcard sized note booklets fit in every pocket and handbag. 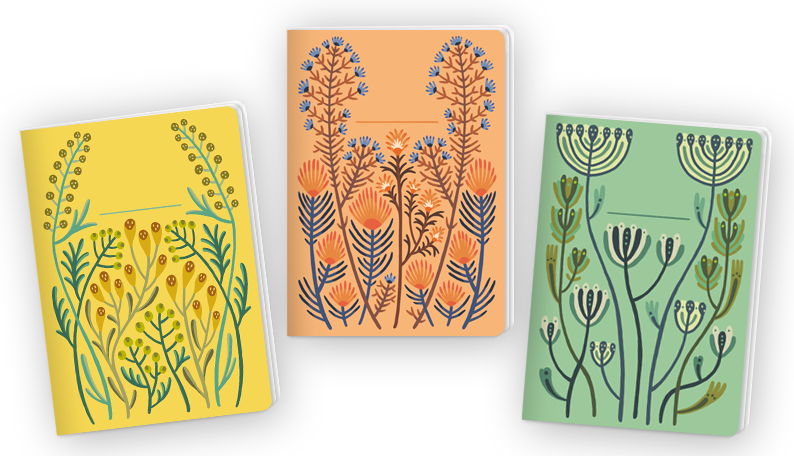 They are on the spot for unexpected ideas as well as daily notes, and can be marked with an individual title on the cover. 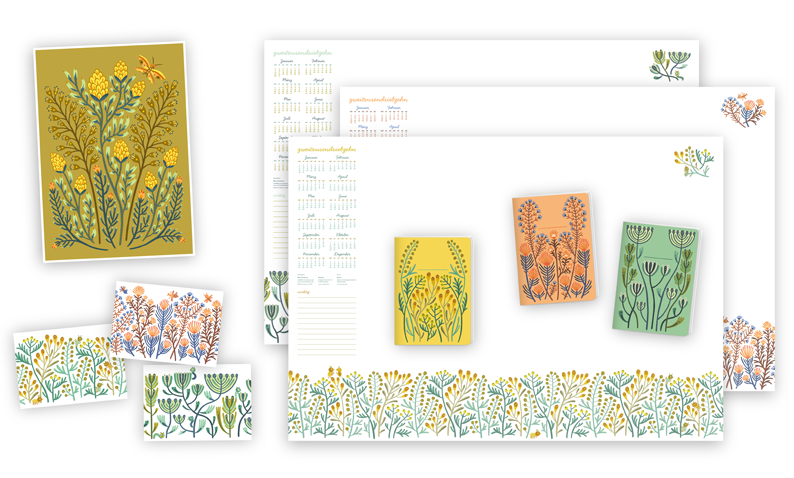 The collection also includes a high quality art print for either home or office walls and desk pads with a calendar and lots of space for notes and doodles to help you organize busy working weeks.